Product prices and availability are accurate as of 2019-04-18 12:59:31 UTC and are subject to change. Any price and availability information displayed on http://www.amazon.com/ at the time of purchase will apply to the purchase of this product. 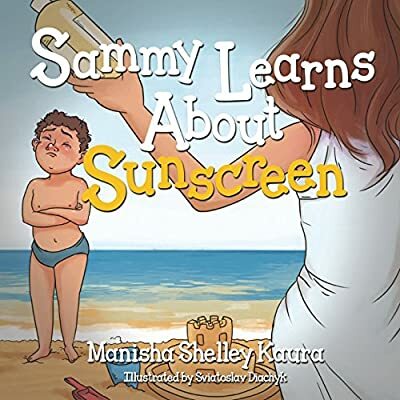 Author Bookstand is proud to offer Sammy Learns About Sunscreen by Bookstand Publishing. Bookstand Publishing offers books by the best indie authors throughout North America and the world. Bookstand Publishing is dedicated to offering original content to a broad audience and promoting great authors, literacy, and freedom of expression. 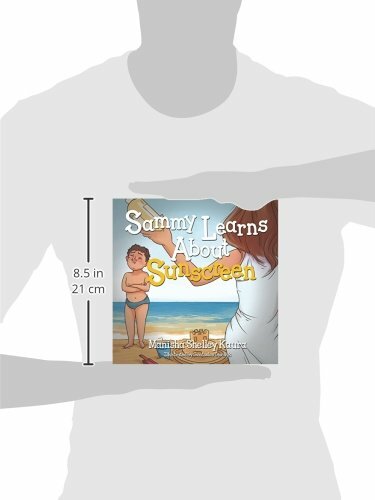 Sammy Learns About Sunscreen has generated a lot of interest and excitement and we think it would be an excellent addition to your library. Sammy loves being outside and spending time with his friends and family. He loves going to the beach, feeling the warm sun on his skin, and playing in the sand. Like most children his age, he loves playing outside, but does not always think about the importance of sunscreen. But he keeps getting sunburns that affect his health and mood. After all, isn't annoying to put on sunscreen? 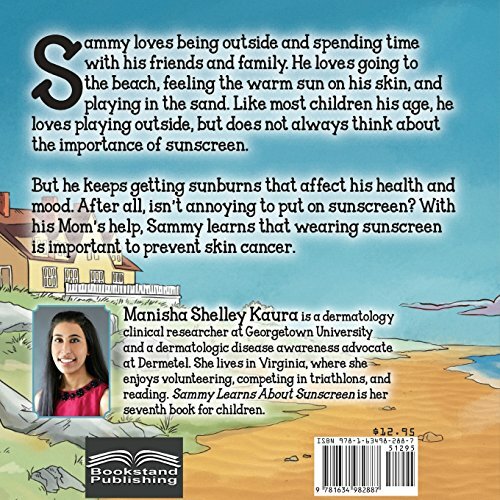 With his Mom's help, Sammy learns that wearing sunscreen is important to prevent skin cancer.